Interpreted coat of arms: with a rounded and pointed shape; illuminated with metal argent and colour azur; outlined with sable; and a watercolour finish. Blazon keywords: Without divisions, Azure, Menorah, Argent, Or, Horse and Dragon. Style keywords: Pointed and rounded, Illuminated, Outlined in sable and Freehand. 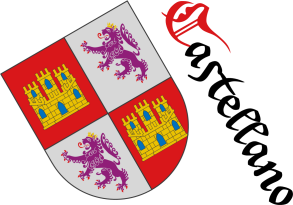 Classification: Coat of arms, Interpreted, Civic and State of Israel. 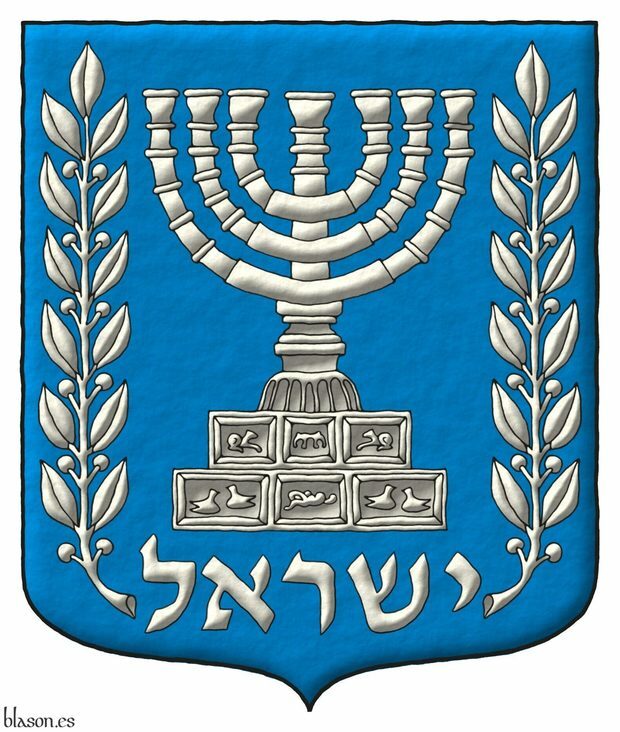 Pointed and rounded, Azure, Horse, Outlined in sable, Dragon, Coat of arms, State of Israel, Illuminated, Interpreted, Israel, Menorah, Or, Argent, Without divisions, Civic and Freehand.